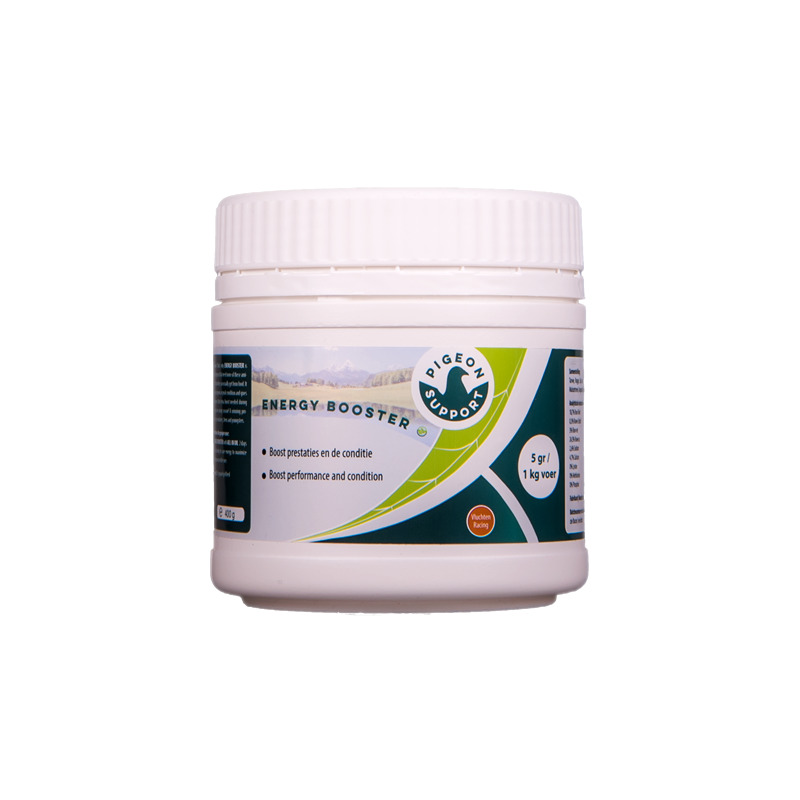 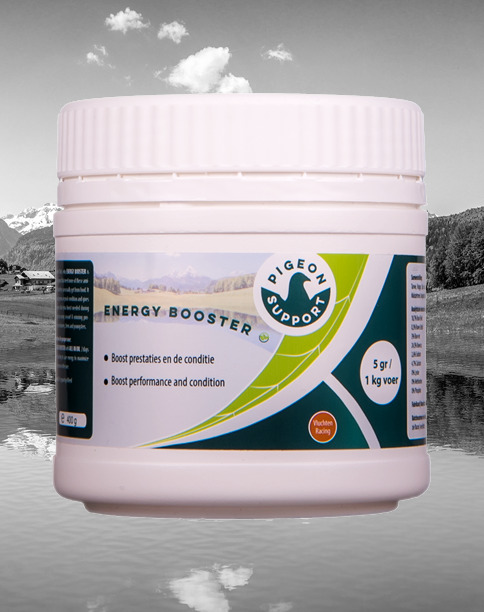 The ingredients of ENERGY BOOSTER+ emphasizes the pigeons’ performance and defence. 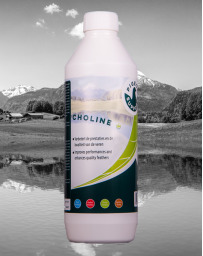 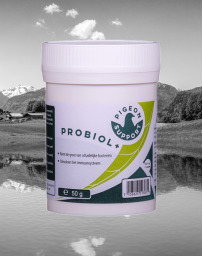 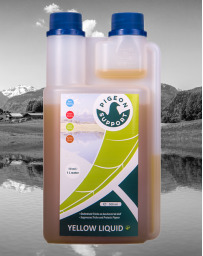 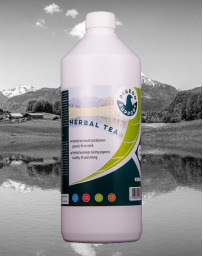 Its patented structure guarantees a higher amino acid absorption than any other food product. 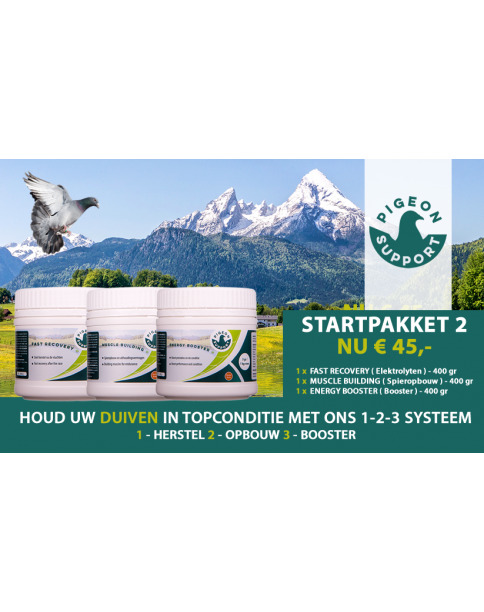 Therefore, ENERGY BOOSTER+ is ideal for pigeons that need more of these amino acids than they usually absorb from the feed. 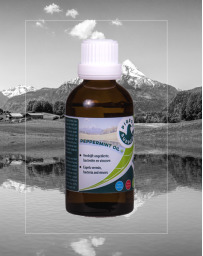 ENERGY BOOSTER is a unique special blend of vitamins, minerals and amino acids that with its ingredients, emphasizes the performance of the pigeon. 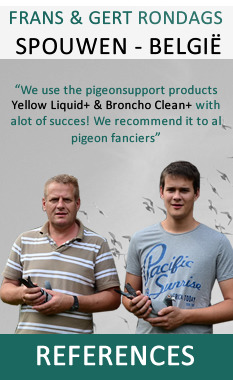 ENERGY BOOSTER provides more energy so that the pigeons are in peak condition and become faster during longer flights. By adding certain amino acids, the pigeons are better able to adapt to the dark and longer hours, which is essential for long distance races. 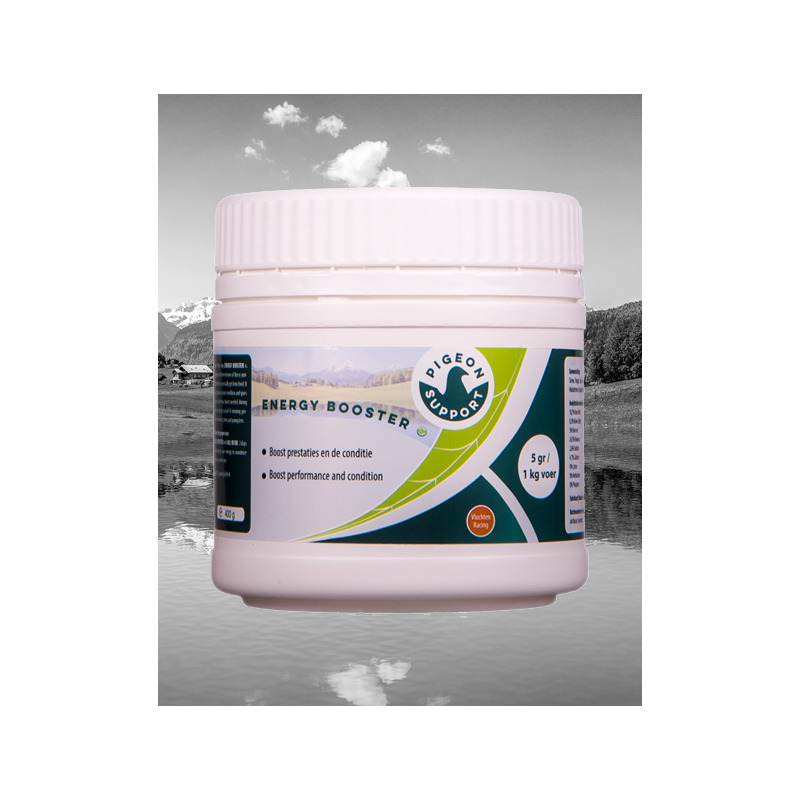 ENERGY BOOSTER gives a higher amino acid intake than any other product on the market. 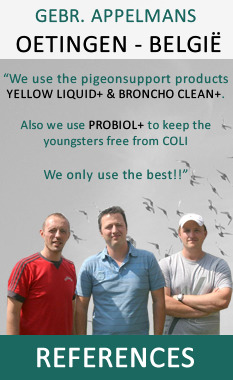 That's why ENERGY BOOSTER is ideal for pigeons that need more of these amino acids than they can usually get from food. 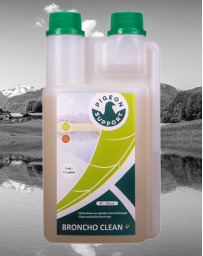 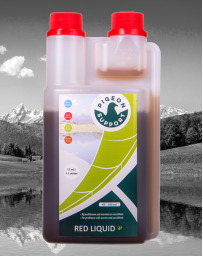 It keeps your pigeons in peak condition and gives your pigeons that extra boost needed during the aggressive racing season! 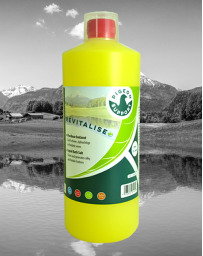 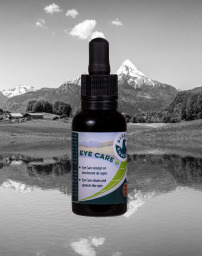 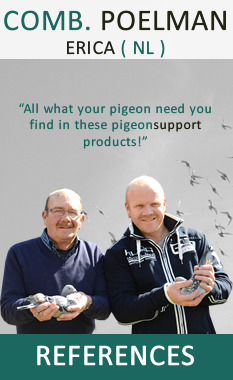 A winning product for your widowers, hens and youngsters. Mix ENERGY BOOSTER with ALL-IN OIL 2 days before basketing to save energy to maximize the performance in the race.